The simple fact is with the availability of advanced technologies, flying is only as risky as any other form of public transportation. But this is not to take away the fact that you will be thousands of feet above the ground with no safety net and that can make you psychologically uneasy. Your fear of flying can be allayed to a large extent if you choose an airline that has a clean safety record. Please remember that all airlines have what is known as safety rating and they will have to subject their aircrafts to safety audits and implement safety policies. This rating will help the air passengers know how safe they are when flying by a particular airline. Apart from the safety factor, there are other considerations – such as comfort, route, flight schedules, baggage allowance and ticket prices – that should weigh with you while choosing the right airline. The cost of tickets is crucially important and you should not needlessly overpay by paying an airline more for reaching the same destination. Comfort is another important factor when it comes to smooth flying – and more so, if you are on a long journey. The seats should be cozy and there should be ample leg room to stretch your limbs. Extra legroom does not necessarily mean you have to fly Business Class. There are some airlines that offer ample leg room for you to stretch and travel in comfort. Flying can not only be smooth but also pleasant if the onboard service is of a high standard. 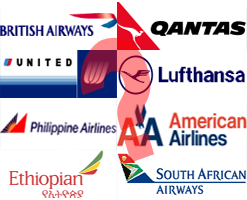 Please know that the quality of services provided by different airlines vary and at times widely. Particularly for long distance trips, it is important that meals are served regularly on board the airline and the price you pay is all-inclusive. If you are on a pleasure air trip, then you should obviously take full advantage of your baggage allowances and buy exotic things and bring home gifts for all your loved ones. Like all other things, baggage allowances also vary with each airline and it could save you lot of money if you choose an airline that offers maximum baggage allowance when returning from a long vacation. Till late twentieth century flying was a luxury for most travelers due to the exorbitant fares. Things have however changed with the deregulation of US airline and flying has become affordable and hence more commonplace. Still many travelers are unaware of the pricing of airline tickets and do not understand that air fares fluctuate. When choosing the right airline, you should also pay the least fare and for this you can visit some of the air fare price comparison sites. If you are determined to get the lowest price on your next air fare, you'll need to set aside some time to search the internet. As a rule, airlines offer elite status for their most valued fliers to earn customer loyalty and to ensure that frequent travelers fly only by their airline. If you are a frequent traveler, you should take advantage of this offer and fly by the same airline and enjoy the added advantages. If you can, fly non-stop business class flights as they will mean least travel time and minimum discomfort. Besides, a direct flight may also mean that you are less likely to lose your baggage.